Nafplio (or Nafplion) is a small town located in the Peloponnese peninsula in southern Greece. The town has a lovely historic center with charming streets, venetian balconies and wonderful neoclassical buildings and mansions. It also has an appealing port area filled with cafés. Nafplio as makes a good base for exploring the nearby UNESCO World Heritage Sites of Mycenae and Tiryns. 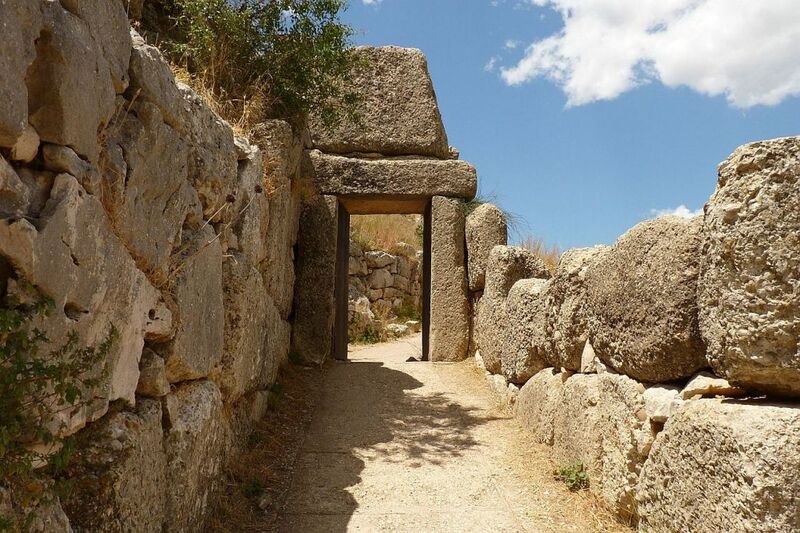 These archaeological sites are the imposing ruins of the two greatest cities of the Mycenaean civilization, which dominated the eastern Mediterranean world from the 15th to the 12th century B.C. and played a vital role in the development of classical Greek culture. Located in Nerántza, this villa is set 46 km from Nafplio. 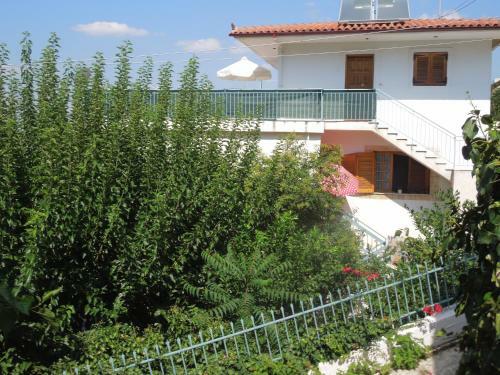 The property features views of the pool and is 27 km from Kato Trikala Korinthias. 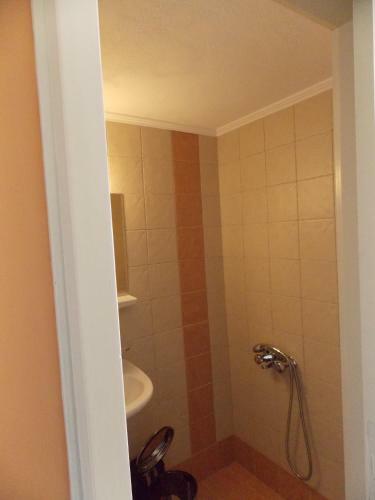 An oven and a toaster can be found in the kitchen and there is a private bathroom. A TV is offered. Average score from 11 guest reviews: 0.0/10. Featuring air conditioning, Zavitsa offers pet-friendly accommodation in Xiropigado. Nafplio is 12 km away. Free private parking is available on site. All units feature a flat-screen TV. There is also a kitchenette, equipped with a fridge. Average score from 166 guest reviews: 8.9/10. Featuring mountains views, Pefko House is a holiday home, situated in Athíkia. 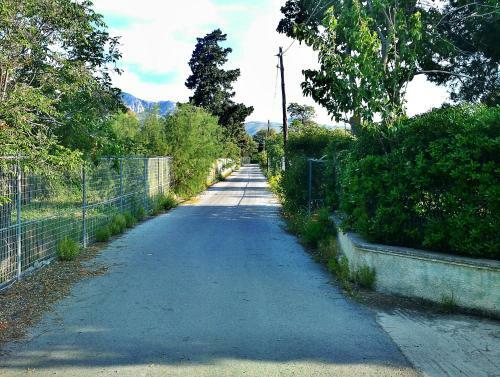 The property is 30 km from Nafplio and free private parking is featured. There is a seating area and a kitchen complete with a dishwasher and a microwave. Average score from 13 guest reviews: 0.0/10. Offering free WiFi and a barbecue, Apartment Poseidonia is located in Loutráki. Nafplio is 46 km away. The accommodation has a TV. There is also a kitchen, fitted with an oven. A fridge is also available, as well as a coffee machine and a kettle. Average score from 5 guest reviews: 7.4/10. 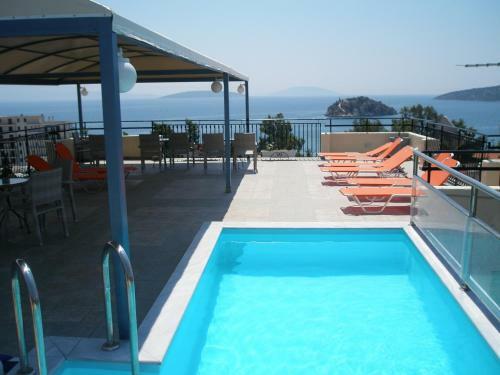 Located in Kórinthos, Petra Luxury Apartments offers a garden and outdoor pool. Ancient Korinthos is 1.6 km away. Free WiFi is available . The accommodation is air conditioned and features a flat-screen TV. Some units have a terrace and/or balcony. Average score from 56 guest reviews: 9.4/10. 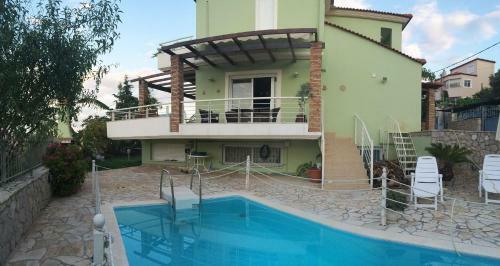 It is a first class location and property, beautiful view, clean swimming pool, very close to the archeological site. We liked the interior design and the quality of the building. Everything. I ll definitely be back here!!! Really loved it. Very friendly staff. New clean cool facility. Luxurious estate, great price, great stay, amazing room and bed. A short car ride to everywhere. Would love to visit again. Beautiful, very clean and super comfortable. The Coco-Mat mattress and pillows are out of this world. The location is beautiful with great views and very quiet. I would highly recommend Petra Luxury Apartments! Fantastic place. So private and beautiful. Corinth is amazing. The staff was so nice with us, they gave us good food and wine for free and were always available when we needed, and very friendly and respectful of our resting time ! The place is restful, quiet, peaceful, beautiful, we loved it !! The property was absolutely amazing. It was quiet & secluded but still close enough to the city centre of Ancient Corinthos. The grounds were kept very neat & tidy & the large pool & sun beds were fantastic. The inside of our huge 3 bedroom apartment was immaculate. So much room & very luxurious. The owners were so welcoming & so friendly. They gave us outstanding service. They offered us food & drinks & even baked us a cake. You will not find good service like this anywhere else. Honestly, we didn't want to leave but we'll definitely be back the next time we're in Corinthos or in that region. everything was perfect! The owners were really friendly and helpful, the apartment was soo big, so clean and with full equipment! The bed was so comfortable also! We will come back for sure! See all hotels in Nafplion & Nearby Classical Sites. Offering a sun terrace and views of the city, Messini Pension property is situated in the old town of Nafplio in the Peloponnese Region. All rooms are fitted with a flat-screen TV with satellite channels. Average score from 80 guest reviews: 9.5/10. Very friendly staff, excellent location, public parking close by, very clean and super comfortable bed. Amazing atmosphere! Great location! Ideal bed..!! The staff was friendly & totally I would recommend this place to everyone! The reception was very helpful, warm and friendly. The staff was also cooperative. Moreover, the room was cosy despite the fact that it was small. The decoration was very nice, especially the bathroom. Last but not least, we were really impressed by the cleanliness of the room. Brand new and modern interior in a nice old house. Perfect location in the old town. No food available, but breakfast at Omorfi Poli available 5 m from the door. Top floor apartment has two really nice terraces! excellent room in a very nice renovated old building, very new with nice decoration and taste. The location was so central and you could walk anywhere. Τέλεια τοποθεσία στο κέντρο της παλιάς πόλης όλα ήταν προσβάσιμα με τα πόδια. Φιλόξενο προσωπικο, άνετο και καθαρό δωμάτιο με υπέροχο μπαλκόνι, περάσαμε τέλεια! Ευχαριστούμε πολύ! Ήταν εξαιρετικό τόσο το προσωπικό όσο και τα δωμάτια.Καθαρό, ήσυχο και σε κατάλληλο σημείο για να εξερευνήσεις την πόλη. Φανταστικήδιακόσμηση ,η τοποθεσία κεντρικοτατη ενα κουκλίστικο ξενοδοχείο. Εξαιρετικη πανσιον, διακριτικοι ανθρωποι, πολυ ωραιο περιβαλλον με μεγαλη προσοχη στη λεπτομερεια. 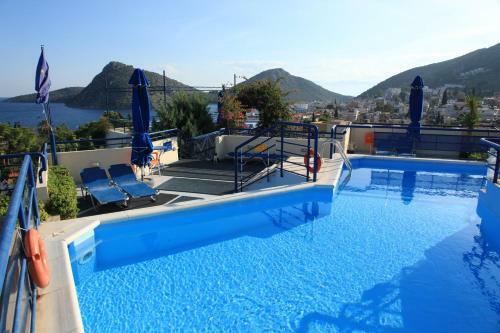 BOOK THIS HOTEL NOWSee all hotels in Nafplion & Nearby Classical Sites. 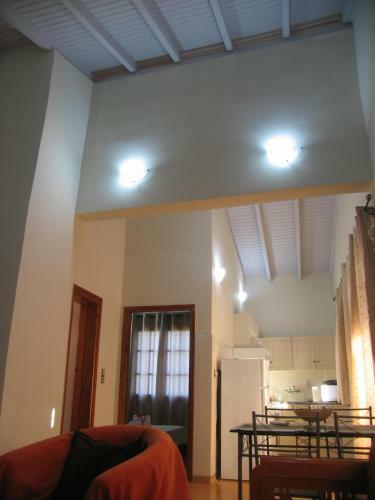 Blue Green Studio offers accommodation in Tolón. Blue Green Studio boasts views of the sea and is 600 metres from Beach of Tolo. Free private parking is available on site. The kitchen is fitted with an oven. Average score from 32 guest reviews: 9.4/10. Situated in Vivári in the Peloponnese Region, 10 km from Nafplio, Vila Vivari features an outdoor pool, barbecue and sun terrace. Guests can enjoy the Aeolos beer house and restaurant, located within walking distance of the property. Average score from 33 guest reviews: 9.4/10. 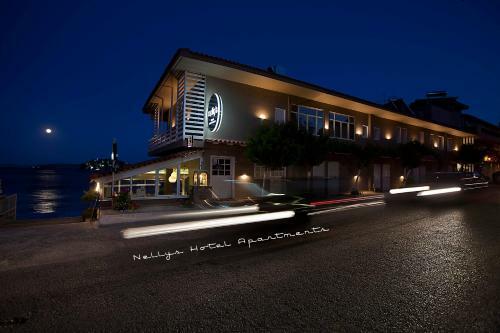 This hotel is located in a beautiful quiet village just 10 - 15 minutes by car from Nafplio city. We had the pleasure to stay there for 3 nights at the Apartment 4.It was fully furnished, very clean and we had everything we needed! Manager was very friendly and helpful. Breakfast is a huge plus! You can have it at your room any time you want. This is the ideal place if you want to feel like home. Reasonable price - free wifi. Thanks for everything! Our stay in Vila Vivari was just perfect, the appartment was big, beautiful, clean and comfortable, the terrace and the swimming pool were great, there were so many flowers and plants, everything was made with love. The kitchen and every room were full equiped, breakfast was very complete and tasty, and the most important thing, the owners were really amazing, so nice, we had a problem with the ferry company and they helped us, we are so gratefull with them. They also guided us about what we should visit in the area, really wanted us to enjoy our stay in greece. We really recommend this place, and hope we will be back soon! Staff very helpful and friendly and gave advice about local sights. Apartment clean and very spacious - large living space. Good parking space. Enjoyed the breakfasts delivered to the apartment. Πρωινό πολύ καλο..Δωμάτιο ζεστό καθαρό,άνετο ήρεμο μέρος με χρώματα Ελλάδας και Ευρώπης! !οργανωση άψογη! !Αντριανα σε ευχαριστούμε!! TOUT !! l 'accueil, le logement, les activités proches sans parler des magnifiques petits dejs !! Πολύ καλό κατάλυμα με σχεδόν όλες τις ανέσεις, όμορφο και καθαρό. Ησυχία και ζέστη με καλοριφερ και τζάκι. πολύ καλή επιλογή για χειμώνα και για καλοκαίρι. Άριστο !!! Όλα εξαίρετα ! Καθαρό και πολύ άνετο. Μόλις 10 λεπτά από το Ναύπλιο σε ωραία τοποθεσία. Η ιδιοκτήτρια μας έκανε να νιώσουμε σαν το σπίτι μας και η ευγένεια της και η καλοσύνη της ήταν απίστευτη. Συγχαρητήρια !!! Πλουσιο πρωινό, οι ιδιοκτητες πολυ φιλόξενοι και ευγενικοί. Σε ομορφη και ήσυχη περιοχή, πολύ κοντά στο Ναυπλιο. Τα δωμάτια ομορφα διακοσμημένα και άνετα. 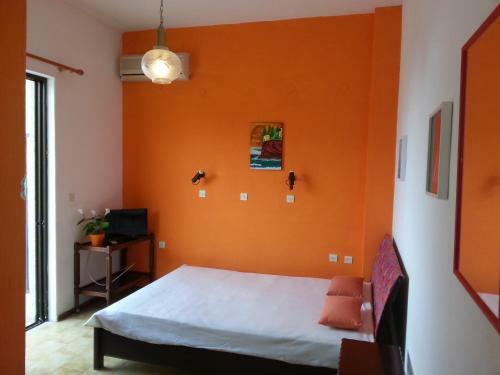 Featuring air conditioning, evita-studios is located in Xiropigado, just steps from the beach. The property has an on-site bar and offers studios with sea view. Nafplio is 12 km away. Average score from 4 guest reviews: 9.3/10. Asimoni is situated in the Old Town of Nafplio, 300 metres from Akronafplia Castle and 600 metres from the scenic Palamidi. Τhe central bus station is at a distance of 80 metres. Free WiFi is available in all rooms. Average score from 179 guest reviews: 9.3/10. Greek hospitality, owner's hospitality were amazing! Great location in the old town- convenient to the bus station, restaurants and the base of the hike up to the castle. The place was spotless and well appointed. Nikos was the perfect host- gave us great recommendations on restaurants, sites to see, how to get around etc. He really went out of his way to make it an excellent stay. Highly recommended! This is an amazing place to stay—Nika was very kind, and the fortress view was beautiful. Clean and comfortable, also! Nafplio is lovely, and this is a convenient location from which to explore. Highly recommended. The best place we stayed in greece and nikos was a gem of a person. Five stars !!! Perfect location, clean and the staff very helpful to explain us where to go for food, walks, sightseeing. Highly recommended! Very cute and clean pension! Nikos, pension host was super helpful and friendly. He even put two beers and juices in the refrigerator to welcome us. The pension is located in the old town, two minutes from the bus station. The facilities were excellent::bed very comfortable, good bathroom, well -equipped bedroom with air-con, safe, small fridge and TV. The towels were changed every day and everywhere was cleaned daily.Sheets were changed about every 3 days.Friendly owner. We've stayed in the deluxe room, which has a big terrace. The room was not big, the bathroom was. Excellent view. We arrived to Nafplio with the bus from Athens, and Asimoni Pension was very close to the bus station. Palamidi Castle, the Old Town, the beach are very close to the Pension. The owner was very kind and discrete. If we will return to Nafplio one day, we will definitely stay at Asimoni Pension. Very nice owner. The house is freshly renovated and everything looks like new! Nelly Hotel Apartments perfectly situated just above the beach, provides luxurious accommodation and friendly service throughout the year. Average score from 76 guest reviews: 9.3/10. Perfect location and great view. It is highly recommented! 1. Nice view. 2. Comfortable bed and couch. 3. Nice location. 4. Value for money. Stunning view, superb location right on the beach. Daily cleaning staff visit to room, they did an excellent job. Ask reception staff and they provide anything that's missing. Loads of good restaurants within a short walk. Street parking right outside was no problem in October. Balcony view across the bay was excellent. Highly recommend. We will definitely be back. καταπληκτική θέα με τέλειο κρεβάτι και ότι χρειαζόσουνα υπήρχε διαθέσιμο και καταπληκτική θέα!!!! !άριστη επιλογή για τα λεφτά του!!! 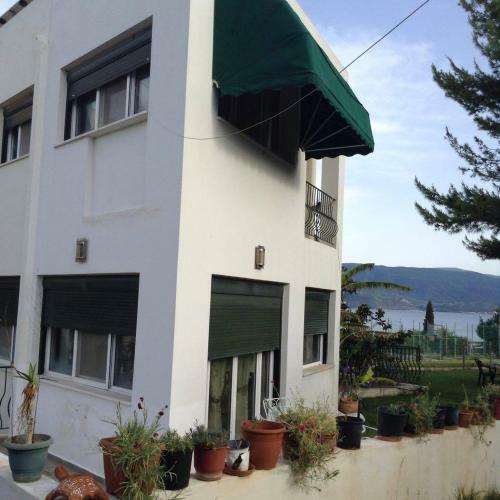 Set 1.1 km from Palamidi in Nafplio, this air-conditioned apartment features free WiFi. Guests benefit from balcony. Towels and bed linen are offered in this apartment. Nafplio Syntagma Square is 1. Average score from 625 guest reviews: 9.2/10. 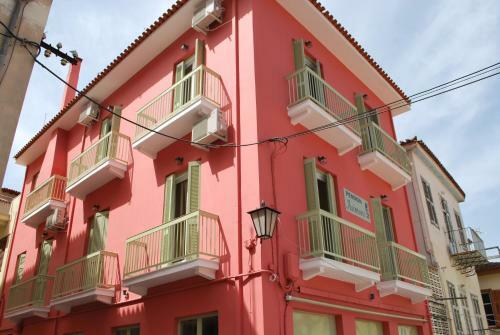 Set in Ária in Nafplion region, Petros House offers self-catering accommodation with free WiFi. Petros House boasts views of the sea and is 1.9 km from Nafplio. Free private parking is available on site. Average score from 14 guest reviews: 9.2/10. Nice apartment with spacious terrace and BBQ. Very friendly owners. Comfortable beds and heating in bedrooms. It was a sole place with electric convectors instead of air-conditioner heating in our winter trip in Greece. Des hôtes très sympathiques et accueillants. Ambiance familiale. Appartement très propre et bien équipé. Vue magnifique sur Noplie. Nous y serions volontiers resté s plus longtemps et y roi reviendrons avec plaisir. Accueil familial et très sympathique, les propriétaires habitent sur place et sont aux petits soins. Ils sont francophones. Grande terrasse pour prendre les repas au soleil avec vue sur la mer et la montagne. Przemili i uczynki gospodarze, bardzo dobra lokalizacja, wspaniały taras. Casa spaziosa con terrazza panoramica dalla quale si può godere di una vista fantastica. 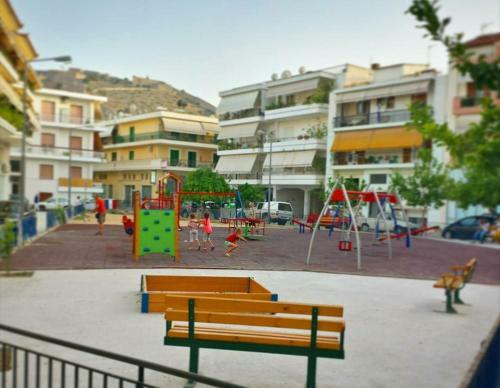 Vicina alla città di Naflio ma lontana dal caos . Proprietari cordiali e disponibili. Consigliata !!! Located in Tolón, just 80 metres from the sandy beach, Ritsas Hotel features air-conditioned rooms and free private parking. The hotel has an outdoor pool and fitness centre, and guests can enjoy a drink at the bar. Every room has a flat-screen TV. Average score from 62 guest reviews: 9.0/10. Excellent room. Clean pool. Very friendly staff. 2 min. walking distance from sea. Perfect place for couples. Clean and with zero bugs. Friendly and helpful staff. Really friendly staff,great location, very clean and nice decorated rooms. The owners are very friendly and welcoming. Rooms and overall facilities are fine. The breakfast consisted of exclusively processed food items. The hotel ran load music for their guests until midnight. Υπέροχο μέρος,απιστευτα καθαρό.οικογενειακή επιχείρηση και οι άνθρωποι εκεί όλοι προθυμοι να εξυπηρετησουν. Καλό πρωινό, Όμορφο και άνετο δωμάτιο. Οικονομικό. Εξαιρετικές παροχές και ποιότητα μεγάλου ξενοδοχείο συνδυασμένα με οικογενειακή ατμόσφαιρα...πολύ καλό και οργανωμένο πρωινό σε μπουφέ με φρέσκα προϊόντα. Ευχαριστούμε! Εξυπηρετικοι, έξυπνοι, πρόθυμοι να ανταποκριθούν στις απαιτήσεις των πελατών τους οι ιδιοκτήτες του ξενοδοχείου. Τέλειο περιβάλλον κ καθαρό. Φύγαμε με τις καλύτερες εντυπώσεις κ σχεδιάζουμε να το επισκεφθουμε πάλι. 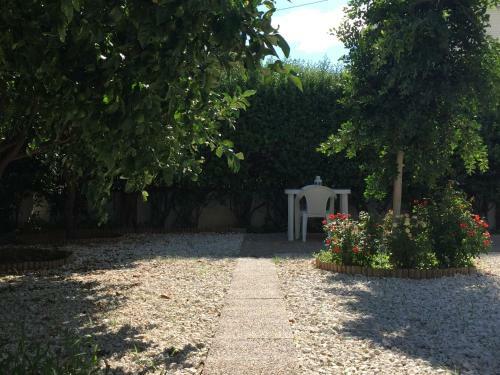 Paradise City studios offers accommodation in Loutráki, 44 km from Nafplio. Guests benefit from terrace. Free WiFi is offered throughout the property. A TV is featured. You can play billiards at the property, and free use of bicycles is available. Average score from 178 guest reviews: 9.0/10. Set in a 6,000 m² garden with olive trees, Ktima Anastasia is located in Nea Tiryntha. Within a 10-minute drive of nearby beaches, it offers modern rooms with garden views, a playground area and ample parking space. Average score from 125 guest reviews: 8.9/10. Landlord is really, really kind. Nice place to relax with a large balcony inside a landscape of olive trees. Has a free space to park your car. It looks like you'll need a car to go to city center but it's 5 minutes close. You can shop in city center & use the kitchen in your room or you can free-call a place in the village for toast/tea breakfast. Free Wi-Fi /w high quality signal. Enough space for the 2 of us in a studio. The room was cleaned daily. Bed very comfortable! The balcony is just perfect for a little extra space or just for having a meal out. Very helpful stuff. One can request anything and they are happy to help you. They provided us with a lot of touristic info and also info of different very good local places to eat. Nice quiet location in olive/orange groves. Well equipped apartment, 10 mins to Napflio. Vicky is a wonderful and gentle person. Her enthousiasm is welcome, she makes you feel comfortable in this very cosy place. Vicky is an excellent host. She helped us find hotspots in the area. I have to thank Vicky for managing to get us an excellent room for our stay in another place of Peloponnese literally last minute and in high season. Everything in the Ktima is very well taken care of, rooms are clean and have all basic amenities. It's a very pleasant area, away from city noises. Much better to have a car. Beautifully appointed room. Great facilities. Quiet location. Excellent host. It was a great experience! we arrived late in the evening but there were no problems. The host was kind and willing to help. She suggested us the best taverna to have dinner and she also explained us all the streets to reach the places in the area like Micene. Communication was simple thanks to her english. Room was clean and well equipped, terrace was large and perfect to chill out and put our washed clothes out. So, we warmly recommend this stay! 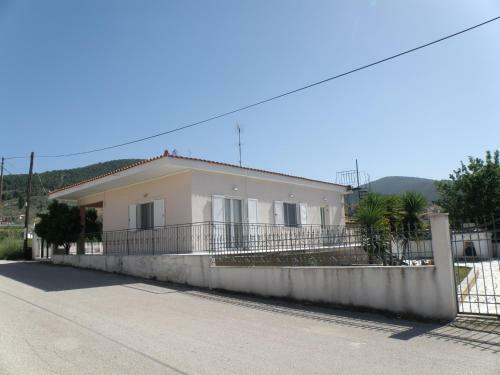 Quiet location situated in olive groves with approximately 10 minutes drive to the centre of Napflio. Very good facilities and excellent host whom made us feel most welcome. Boasting an outdoor pool with sunbeds, Hotel Apartments Panorama is located in Tolo, just 250 metres from the sandy beach. 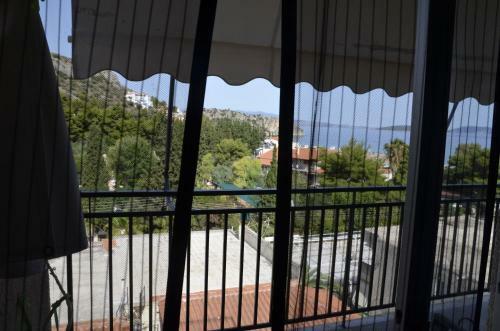 It offers self-catering accommodation with Argolic Gulf views from their balcony. Free Wi-Fi is available in public areas. Average score from 126 guest reviews: 8.8/10. View from apartment balcony was fantastic, islands, mountains, sea. The location is great as the hotel is on a hill with a fantastic view from every room and from the wonderful pool. The family and staff were so helpful and even tracked down and had items sent to the hotel that I had unfortunately left on the bus from Athens. Walking to town for restaurants, shopping and the beach was easy. Has a spectacular view of Tolo town, the harbour and adjacent islands. Amazing view - and higher standards of all kinds of service and facilities than the pension-type accommodation we would usually look for. If you need a place to be for a few days to see Epidaurus, Nauplio, Mycenae etc., it probably doesn't get better than this - at least not for the price. One of the best views you can have swimming in the pool!!! PERFECT! Nice and perfectly clean pool!!! The rooms renovated and clean. Fantastic view. Very nice swimming pool - perfect for our children (4 and 9 years old). Helpful staff. Nice and spacious rooms with balconies. Clean. One of the best places to stay in Tolo. We really enjoyed our stay. Highly recommended. The town itself was not that interesting but has a nice beach (warm water, shallow - child friendly), all necessary facilities, and is a good base for exploring the surrounding region. A good place for a beach vacation combined with sightseeing. Great view from the rooms and the poolarea. Rooms were newly renovated, spacious and cozy. The breakfast was solid. Nothing to complain about, a short drive away from Nafplio, which was great. Loved the pool area! This place was fantastic for a relaxing few days in the middle of our tour of Greece. We enjoyed sitting on the balcony in the shade, spending time at the pool with a fantastic view of the water and islands, and wandering down to the town for dinner and supplies. Easy drive to Nafplio and Epidavros, and was perfect for resting in between seeing those two sights. Great view and quiet, relaxing place. Nice pool and bar next to it. Very friendly host. The Heliotopos hotel is situated in the picturesque fishing village of Tolo, on the top of a hill with a wonderful view over Argolic Bay. The property features a swimming pool and the sandy beach is a short walk away. Average score from 205 guest reviews: 8.6/10. Very friendly and helpfull staff, they waited us with water and very good cake. Special breakfast with a lot of varietys even with greece specialitys. Totaly recommend them!! Heliotopos Apartments is a wonderful place to stay! Our room was large and comfortable, with a big balcony and a beautiful view of the sea and mountains. Dimitri helped us with information about local transport, for example to Nafplio and Argos. The beach and restaurants are 5 minutes by foot and in there are also some super-markets and shops.In 15 min you can walk to the golden beach and enjoy the clear see. All the small details, very hospitably staff, great breakfast :)... We would always come back, the best place that we've stayed in while being in Greece. The balcony with beautiful seaview. The hosts were very friendly. The rooftop terrace with magnificent views at the sea and the mountains. The rooms were tastefully furnished. Great value for money! Definitely enough room for our 2 kids (both under 3 years old)& I loved having separate bedrooms so they couuld each nap without disturbing the other. Also a kitchen with fridge and microwave are essential with young kids--food, milk, etc. Loved the swimming pool,close to restaurants and beautiful view from the pool area. The view from the roof top pool was amazing. The garen area with all the candles at night time was really pretty. The manager was incredibly helpful and the staff very friendly. Great apartment with enough space for us all. Easy and quick walk to the beach. The kids liked the swinningpool. 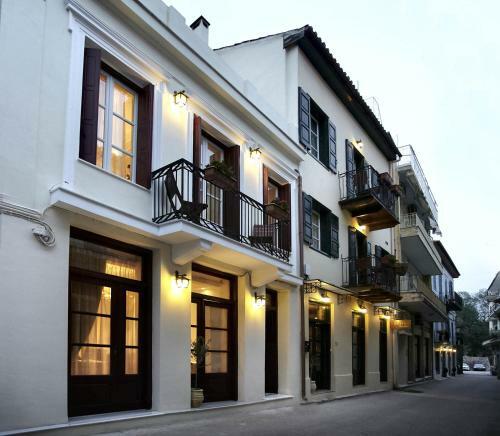 Izabella Guest House offers pet-friendly accommodation in Nafplio. 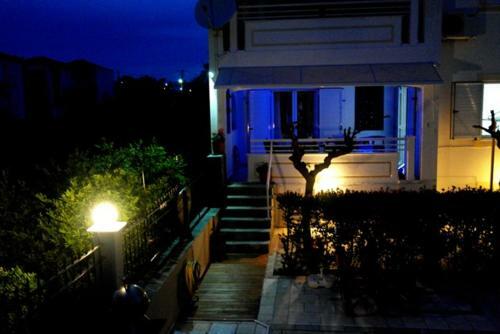 Izabella Guest House boasts views of the city and is 1.1 km from Nafplio Syntagma Square. The kitchenette features a fridge. Towels and bed linen are featured in this apartment. Average score from 24 guest reviews: 8.5/10. This a beautiful, clean and comfortable personal house. Izabella even bought me fruit and drove me the station! Very enjoyable stay! Highly recommended! The owner was a very (very) nice person. They came to the bus station to pick us up. The appartment is very big (big room, big kitchen, big bathrool). The balcony is very large too, and it's great to have a place to eat outside. Equipment is fine: oven, electric plates, shampoo, towels, coffee sample and more… really appreciated. To go to the old center, it's about 15-20 mn on foot (but the main street leading to the old center is nice). You can go by bus too, should be quicker. Isabella Guesthouse is a fully refurbished appartment located a little outside city center, 10 min walking distance, 4 min by car. The appartment was very clean. having nice furniture, bathroom, cuisine and balcony and it is a good choice for couples (having one double bed). Easy free parking and shops and markets nearby. Owner was friendly and professional, contacting us the night before and help us during our stay. Ευρύχωρο και πολύ καθαρό! Καλύτερο απο τις φωτογραφίες..
Tout était parfait. Très bonne situation. Très bel appartement. Belle terrasse. Literie très confortable. Lors de notre prochaine venue c'est chez Isabelle guest house que nous poserons nos valises ! -Το υπνοδωμάτιο ήταν προσφάτως ανακαινισμένο με μοντέρνα διακόσμηση, πολύ ευρύχωρο με ξεχωριστή κουζίνα. -Ευνοϊκή τοποθεσία για εύρεση parking. Απέναντι από super market,ιχθυοπωλείο, παιδική χαρά. -Ιδανικό για γρήγορη έξοδο από την πόλη, ώστε να επισκεφτείς και άλλες περιοχές. Top Lage, geräumige Wohnung, sehr großer Balkon! Super Bad! Μεγάλος, άνετος χώρος! Ιδανικό για ολιγοήμερη απόδραση! Μας υποδέχτηκαν εγκάρδια! 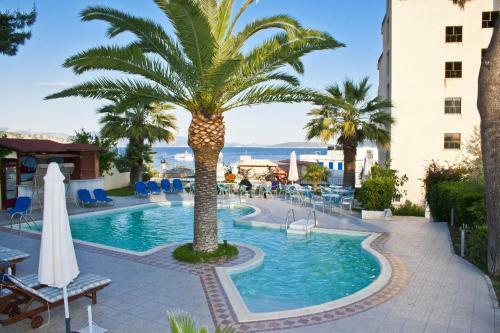 Built just 15 metres away from the sunny beach and the sparkling sea is this Tolo hotel, a must for those who wish to experience the glorious Mediterranean summer sun. Average score from 48 guest reviews: 8.5/10. Super Service!!! Very kind service. Best Breakfast. I recommend it for a family of four. Breakfast is amazing! Fresh orange juice, big variety. Staff was very supportive and friendly. Room and hall are very clean and well designed. 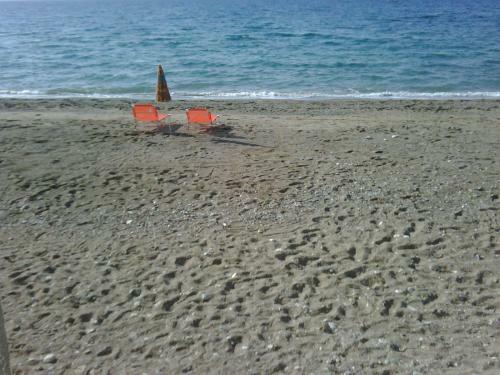 Beach is very closed and very comfortable, there are many cafes and greek restaurant around. Hotel located in the center of Tolo and about 20m from the beach :). Free sunbeds and private parking for hotel guests. Very friendly staff. Renovated rooms and comfortable bathrooms. Location very close beach (about 20m). Very friendly staff. Parking near hotel, Nice sea-view. Very nice location and close to the beach. We had sea view room. Very friendly and helpful personal. super właściciel czekał na Nas, w apartamentach czyściutko do morza 30 metrów ,więc nie potrzeba ubrania, widok z plaży na urokliwą wyspę 12 Apostołów , miejscowość wakacyjna polecam gwarantuję 200% zadowolenia lepiej niż na zdjęciach. Το προσωπικό ήταν ευγενέστατο! Τα δωμάτια καθαρά και με καταπληκτική θέα!!!! Το πρωινό πλουσιότατο !!! Συγχαρητήρια !!!!! Featuring free WiFi and air conditioning, Pavlaras Studios is situated in Tolón, just 150 metres from Beach of Tolo. Opening to a spacious terrace or balcony, the accommodation comes with a flat-screen TV. Average score from 69 guest reviews: 7.8/10. 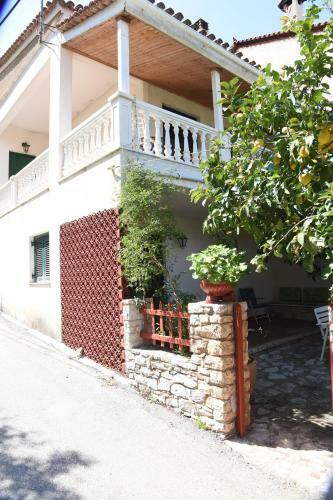 Situated in Nafplio, this detached holiday home features a terrace and a garden. Guests benefit from balcony. Free WiFi is featured throughout the property. The kitchen features an oven and a microwave, as well as a coffee machine and a kettle. Average score from 7 guest reviews: 9.7/10. 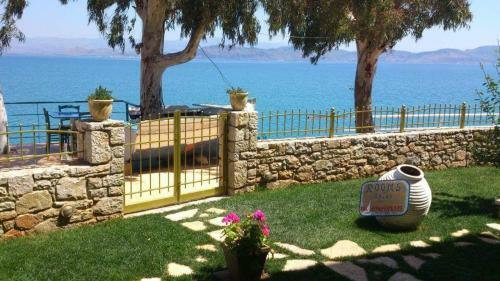 Featuring free WiFi, Apartment on Sokrati is located in Vrahati, 43 km from Nafplio. Kato Trikala Korinthias is 29 km away. Free private parking is available on site. Average score from 4 guest reviews: 9.5/10. 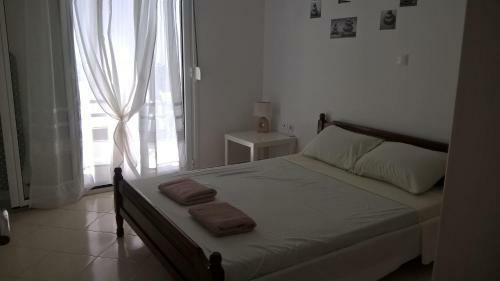 Situated 5 km from Palamidi in Nafplio, this apartment features free WiFi. The apartment is 6 km from Akronafplia Castle. Towels and bed linen are featured at Anastasia Apartment. Average score from 101 guest reviews: 9.3/10. Set amidst orange and olive groves, Agroktima Elia offers elegant guest rooms with views of Palamidi Castle and the town of Nafplion. It is situated 800m from the centre of Nea Tiryntha. Average score from 100 guest reviews: 9.2/10. The owner made us feel like home and the location was superb. Ideal for relaxation! The owner, who is absolutely fantastic, invited us to a holiday feast on the property, which was unforgettable. The views are magnificent and the host is so helpful. Real greek suburb taste! Host really helpful! Excellent environment! Great location just outside Nafplio which can be easily reached by car in 5-10 mins. Lovely accommodation set in a beautiful gardens which are lit up at night. clean and with everything you need for a relaxing stay. We asked to stay another night and as the room we were in was booked the owner let us stay in the 2 bed maisonette for the same price. Very friendly and helpful owner, lives on site and always available. This is our second stay in 2 years and will return. Fabulous!!! The host/owner is outgoing, polite and professional. The place is located at the countryside with a huge open area for leisure or for children to play. Furthermore, it's just 5-10' with the car from the city of Nafplio. Best value for money, I will surely return and I suggest it to others as well. Excellent location if you have a car. Very peaceful place in an olive and orange farm in a 5 min drive distance to city center. We stayed in the apartment and it was spacious enough for two. If you have kids bigger apatrment would be better. The apartments have separate balconies which provides privacy for residents. Daily cleaning is included and the facility has a bar in the garden. And a last word for George, the owner, he is an English speaking nice person who could give you best advices on local restaurants, markets etc. All in all, if we would head to Napflio once again in the future, that is where we would stay..
Appartments are spacious and clean. The grounds are great and extremely peaceful. Close drive to the beach and historic sites. Owner extremely friendly and helpful. The hotel is neatly tucked away within an orchard of olive and orange trees. It's a quick and easy drive to the beautiful city of Nafplio, or a bit longer to visit Epidauros. The host (George) was very kind and welcoming. I loved the homely feel that he has created here. Offering free WiFi and a garden, Vatrachi is situated in Vrahati, 43 km from Nafplio. Kato Trikala Korinthias is 29 km from the property. Some units feature a terrace and/or balcony with sea views. Average score from 450 guest reviews: 9.2/10. 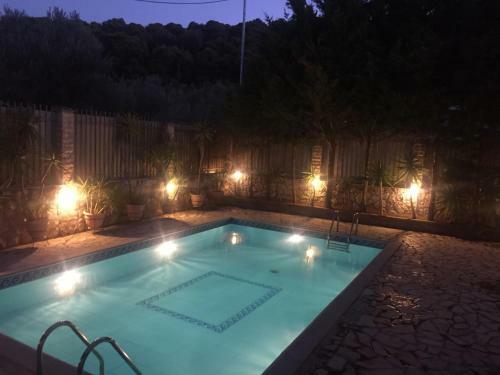 Holiday Home Niriides is a semi-detached holiday home set in Káto Almirí in the Peloponnese Region and is 35 km from Nafplio. The air-conditioned unit is 49 km from Kato Trikala Korinthias. Free private parking is available on site. Average score from 11 guest reviews: 9.0/10. Tolles neues Haus mit kleinem Garten und Terrasse und Balkon. Wir waren Ende Oktober/Anfang November, es gibt einen Kamin... so dass auch die Abende .. neben den Meerspaziergängen und Ausflügen ein Genuss sind. Elena und ihr Mann sind nette, zuvorkommende Vermieter. Ήταν όλα υπέροχα. Πολύ ήσυχο και όμορφο μέρες. Με πολύ ωραία θέα. Περάσαμε καταπληκτικά. Отдыхали семьей из 4 человек в августе 2016 г. Остались очень довольны. Дом расположен недалеко от пляжа (3 мин). Хороший свежий ремонт. Чисто. Особенная благодарность хозяйке Елене за помощь в решении всех текущих вопросов которые возникали. Море изумительное. Пляж не перегружен отдыхающими. Тихо, спокойно! Море близко, метров 200 - 250 и практически никого на пляже. Галька и прозрачная вода. Хорошие кровати, 2 с/у. Standing approximately 250 metres from Kapodistrias Square in Nafplion, Pension Isioni boasts views of the castles of Palamidi and Acronafplia. Its stylish rooms come with an LCD satellite TV and free Wi-Fi. Average score from 498 guest reviews: 9.0/10. It was wonderful, we booked the "amoudi" room and the lovely Kleopatra made our feel cozy! Good breakfast, big clean room in the traditional old town ! The location, the staff being so friendly and attentive, the place being so clean. It's a great place to be ,very clean, comfortable, quiet and right in the centre ,very easy to find.the personnel is extremely friendly and ready to help with whatever question you may have. The service was fantastic! The staff did everything to make the stay enjoyable. Amazing hospitality, great and friendly staff, they accommodated all our needs, even serving us breakfast in our balcony. Would strongly recommend this hotel to anyone visiting Nafplio! Esmorzars molt bons i tracte encantador. Molt silenci. Goods breakfasts and nice service. Very quiet. Very nice and comfortable Guesthouse in central location. The attic-room was particularly cosy. The assistant manager Sotiri is a kind person and perfect host. Anytime again! The rooms were clean and cozy. The decoration was also perfectly matching with the hotel's exterior and the overall atmosphere of Nafplio. Breakfast was poor in terms of choices yet what we were offered were really tasty and fresh. The location of the hotel is ideal. Pretty close to the down town, the palamidi as well as to the beach. The staff was more than happy to help us. Our room also included a balcony which was big along with an amazing view of palamidi fortress. The staff make you feel so welcome and you can help yourselves to refreshments at any time. We loved the homey feel and that we could sit in the front garden and relax with a book or a glass of wine. We also used the push bikes which were available at the property to see the island. Fabulous! Hard to find anything wrong with it. Great staff & very helpful & friendly. Location was right in the old city and perfect. Ask for the room on the top floor with the open outside patio, perfect for relaxing. Can't go wrong here! Studio With Garden offers accommodation in Vrahati. 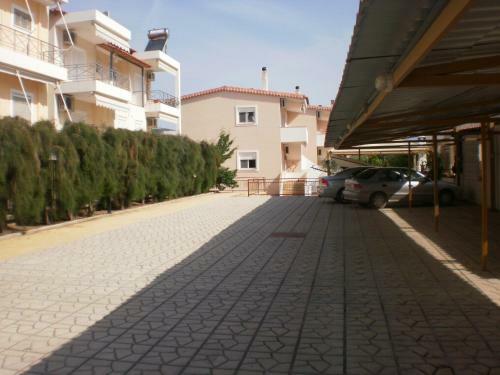 The property is 44 km from Nafplio and free private parking is provided. The kitchen is equipped with a fridge. Towels and bed linen are featured at Studio With Garden. Average score from 3 guest reviews: 8.7/10. Offering free WiFi and a sun terrace, Vrachos Κanari is situated in Kivérion. Nafplio is 8 km from the property. The accommodation is air conditioned and comes with a flat-screen TV and laptop. Some units include a terrace and/or balcony. Average score from 146 guest reviews: 8.7/10. Situated 1 km from Archaeological Museum of Nafplion in Nafplio, this air-conditioned apartment features free WiFi and a balcony. Guests benefit from patio and a sun terrace. 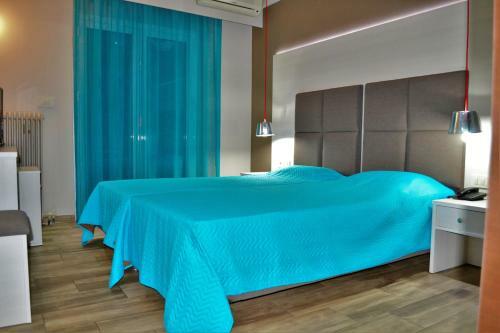 Towels and bed linen are provided at Kalimera Apartment. Average score from 57 guest reviews: 8.7/10. We liked that we were within 10 minutes walking distance from town. The owners were very kind and helpful. The grocery and bakery were nearby and very nice. The patios were nice. Really appreciated the outdoor racks for drying clothes. It was a nice large apartment for the 5 of us. everything. Especially how helpful was the owner, Vasiliki. Michalis the owner took the time to show us on a map where to find bakery etc... And What to visit in Nafplio. The apartment is very comfortable and spacious in a quiet residential neighborhood not far from the old town. Convenient with a baby , there is an elevator and a bathtube. The kitchen was big, as was the entire apartment. 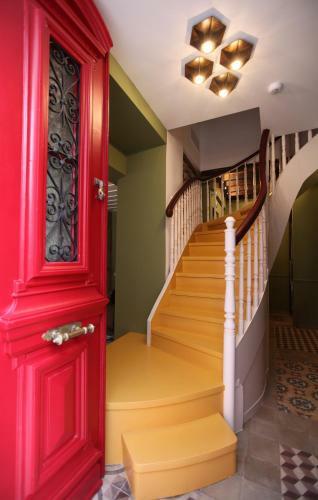 The apartment is 5 -10 minutes walking to the town to shops, restaurants and cafes, in a quiet neighborhood. The owner is very helpful and friendly, communication was good before and during the stay. This is a nice spot if you don't mind being 15 mins walking outside of the old center in a residential area, and if you like a lot of space and have excellent cooking facilities. comfortable beds, good space for 4 people, owner very friendly and helpful. Άνετο κρεβάτι, ωραία τοποθεσία, υπεραρκετές παροχές. Απίστευτη υποδοχή από την ιδιοκτήτρια: ήταν πολύ φιλόξενη, μας βοήθησε πάρα πολύ, μας σύστησε ένα πολύ ωραίο εστιατόριο, μας έδωσε χάρτη και μας πρότεινε πράγματα να κάνουμε στο Ναύπλιο. Ένα από τα καλύτερα ταξίδια που έχω κάνει! Ήταν μία ευχάριστη έκπληξη. Το διαμέρισμα ήταν ακριβώς όπως φαινόταν στις φωτό. Αλλά η εξυπηρέτηση η ευγένια , η διάθεση της κυρίας Βασιλικής να κάνει την διαμονή μας όσο πιο άνετη μπορούσε και να μας δώσει όσες πιο πολλές πληροφορίες μπορούσε για την πόλη του Ναυπλίου, πραγματικά καταπληκτική. Τέτοιες προσπάθειες κάνουν την χώρα μας αγαπητή στους επισκέπτες και προάγουν τον τουρισμό μας. Μπράβο και πάλι μπράβο. Το προτείνουμε ανεπιφύλακτα .Πλέον όποτε ξαναπάμε Ναύπλιο έχουμε ένα "δικό μας" σπίτι να μείνουμε. Να είστε πάντα καλά. Σας ευχαριστούμε πολύ. Only 100 metres from Tolo’s sandy beach Psili Ammos, this 4-star hotel features a swimming pool, sauna and mini gym. Its restaurant bar and café offer views of the pool, garden and sea. Free private parking is available on site. Average score from 88 guest reviews: 8.7/10. The sea view was beautiful, the beach was close to the hotel. Pool area was nice too. And special thanks from our group to Silvia for excellent service, kindness and friendliness. You are lucky to have her in your team. Also Andreas was very kind and helpful. Thank you all for making our holidays memorable. We had great 7 days stay at Tolon Holidays hotel. Personal was amazing. They welcomed us very warm and also they always helped us in case we needed something. The family that own the hotel are great people. They even took us by car to the bus stop cause we had very heavy luggages. The breakfast was nice from 7 to 10 o'clock. The room was very clean. It has amazing sea view from balcony. Overall the hotel is a great place to stay especially for families with children. Great value, wonderful friendly staff, super breakfast and beautiful view of the ocean. Close proximity to restaurants, although I am sorry we did not take advantage of the buffet offered at the hotel. We had an amazing vacation, and the hotel and staff definitely played a part. Great location, wonderful, kind and welcoming people, the service was excellent and they manage to create a peaceful and down to earth atmosphere. We loved it and will definitely return! Can't get over a wonderful staff of the hotel, who helped on the way. We could even choose between 2 types of room. The hotel is nice, with its own romantic pool and with the magnificent view of the bay. The wonderful town beach is near as are numerous bars and restaurants in the very picturesque town. Highly recommended. Everyone was professional and extremely friendly, the room comfortable, the breakfast was royal. Friendly Greek family running hotel were lovely. Tolon a good base for exploring. Wonderfull owner of the hotel, helpfull staff and very clean and nice rooms. Exellent breakfastbuffe, pool clean, good staff.. Great place to stay! Featuring free WiFi, Alonia Studios & Maisonettes offers accommodation in Tolón. Beach of Tolo is 200 metres away. Free private parking is available on site. The accommodation features a flat-screen TV. Average score from 114 guest reviews: 8.7/10. Offering a barbecue and views of the sea, Meli Apartments & Villas is situated in Kivérion in the Peloponnese Region. Nafplio is 8 km from the property. Free WiFi is offered . Average score from 6 guest reviews: 8.6/10. Explore the historic area of Corinth from a renovated, modern hotel surrounded by gardens and overlooking the Saronic Gulf. Kalamaki Beach has a unique location at the point where mainland Greece meets the Peloponesse. Average score from 140 guest reviews: 7.9/10. The most wonderful place I've ever been! Clean, stylish and beautiful hotel! Magic sea! Tasty food! Perfect garden around! Family-friendly atmosphere, lovely staff. Pity the lounge with its bar and grand piano wasn't better used. Location, facilities,friendliness of staff, excellent buffets, very child friendly. The staff, the location, the garden, the standard. 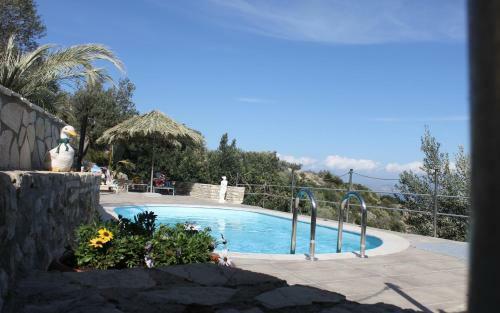 Very pleasant obliging staff, nice secluded grounds and next to sea with views of Saronic Gulf. Euripides Studio is a family set in Isthmia in the Peloponnese Region and is 43 km from Nafplio. The air-conditioned unit is 47 km from Kato Trikala Korinthias. A TV is available. Average score from 218 guest reviews: 7.8/10. Located 41 km from Nafplio and 48 km from Kato Trikala Korinthias, Sosolio offers pet-friendly accommodation in Isthmia. Guests benefit from terrace and a sun terrace. Free private parking is available on site. Average score from 13 guest reviews: 7.8/10. Located 7 km from Palamidi of Nafplio, Iris-Gogo House is a ground-floor apartment opening to a spacious, furnished terrace and offering free WiFi access. Average score from 57 guest reviews: 9.8/10. Ολα ηταν καταπληκτικά!!! !Ξεπερασε τις προσδοκίες μας! !Εννοείται θα ξανα παμε! Η φιλοξενια σε αυτο το καταλυμα ειναι απο μονη της μια εμπειρια. Η συνεχης φροντιδα των ανθρώπων , η ζεστασια τους, η καταθεση ψυχης που κανουν στους επισκεπτες τους συνιστα την διαμονη μια υπεροχη εμπειρια. Το σπιτικο κεικ πορτοκαλιου που σε περιμενει κατα την αφιξη, τα υλικα για ποικιλια και πληρες πρωινο, η συνεχης αλλα διακριτικη παρουσια των υπευθυνων εκει....Ο κηπος,ο περιβαλλων χωρος με τα εσπεριδοειδη, το γεγονος οτι βρισκεσαι στο κεντρο τόσων σημαντικων και σπουδαιων αξιοθεατων καθιστα το καταλυμα ιδανικο. Το τζακι, το πολυ φυσικο φως, η καθαριοτητα, οι ανετοι χωροι μας εντυπωσιασαν παρα πολυ . Ε, στο τελος και τα δωρακια που μας προσφεραν με την καρδια τους οι υπευθυνοι του καταλυματος ηταν το κερασακι στην τουρτα. Ειμαστε ενθουσιασμενοι. Συγχαρητηρια στους ανθρωπους αυτους που σπανιζουν σημερα. Θα το προτεινουμε σε φιλους μας. Είχαν προσέξει και την παραμικρή λεπτομέρεια στο χώρο. Ήταν πολύ καθαρά και οι ιδιοκτήτες πολύ εξυπηρετικοί και φιλικοί. Το κατάλυμα είναι ιδανικό για οικογένειες και θα νιώσετε σαν στο σπίτι σας. Το σημείο είναι ιδανικό. ένα μεγάλο, ζεστό σπίτι με όλες τις ανέσεις. Το ψυγείο γεμάτο, και η κουζίνα πλήρως εξοπλισμένη. Υπήρχαν από πλυντήρια ρούχων και πιάτων, ντουλάπες γεμάτες με ό,τι μπορεί να χρειαστεί κανείς, έξτρα παπλώματα ως και πετσέτες για τη θάλασσα, ακόμα και στο μπάνιο υπήρχε κανονικό σαμπουάν και αφρόλουτρο και ντουλάπι με όλα τα απαραίτητα. Όταν φτάσαμε, μας περίμενε ένα αναμμένο τζάκι. Οι ιδιοκτήτες διακριτικοί, ενώ φρόντιζαν να μη μας λείψει τίποτα. Νιώσαμε περισσότερο ότι μέναμε σε ένα δικό μας σπίτι με όλες τις ανέσεις, παρά σε ένα ενοικιαζόμενο διαμέρισμα. Την επόμενη φορά, απλά θα κουβαλήσω τη μισή βαλίτσα. Just 30 metres from the nearest beach, cafes and restaurants, Areto Apartments is located in Kato Almiri, just 2 km from Loutra Oraias Elenis. They feature self-catering accommodation with free WiFi. Average score from 417 guest reviews: 9.7/10. Opora Country Living offers accommodation in Nafplio. Palamidi is 8 km away. Free WiFi is available throughout the property and free private parking is available on site. All units include a flat-screen TV with satellite channels. Average score from 42 guest reviews: 9.7/10. This is a beautiful stay in olive tree fields with an infinity pool. The interior is posh and the breakfast outstanding ......omelette and fruits and yogurt. We loved the setting and the room was spotless. They gave us food for a picnic lunch too. Complete heaven. Really beautiful hotel. Surrounded by a garden with orange trees. The room was really nicely decorated and had a fireplace. The host was very nice and the breakfast was delicious. The breakfast was amazing, it was really tasteful with greek local products from there. It was so delicious and so well prepared!! I liked so much that you could feel that there was love and care in every detail, evrerything was perfectly prepared. Our stay was one unique experience and I highly recommend to stay there if you are visiting nafplio. The room was so nice and cosy, you are really in the nature and you can totally relax. The people was supernice and friendly and helped us in everything!! I felt like home, was perfect :) PS: When we left, they gave us lots of oranges with us from their garden that taste so good!! A beautiful place to stay, surrounded by orange and olive trees, wonderful views from exceptionally designed country houses (with fireplaces, kitchenettes, Coco-Mat beds!) The hosts are very attentive and kind, and we received many thoughtful gifts from them, including a bag or oranges to take home! Not to mention, the rooms are already supplied with fruits, juice, coffee, water and more, all included in the price! The breakfast was great, and is prepared fresh for you - includes omelet, pancakes and fresh orange juice - yes, from those oranges you see from your window! Nafplio is just over 10 min drive, we went a few times during our stay, but the estate itself is quite large, and there are beautiful views of the surroundings if you walk uphill through the olive orchard. We stayed for the new year's, and it was such a treat to wake up to sunny 2017 in this idyllic place! Would love to visit again! Everything. It looks completely new and you can see that they thought of every little detail. Amazing decoration. The owners were so nice and always went out of their way to help. Our flight left late and they let us stay as late as we wanted. There was light refreshments in the fridge which helped with our 3 year old girl. For breakfast they surprised us daily with something special to the 3 year old. I can't wait to be back, loved it. Situated on a fantastic location. Exceptional hospitality! A true paradise! Just returned from this amazing place! We were lucky to be among its first guests. Extremely friendly, clean, and hospitable lodge. Great help and advice from the hotel manager. The apartments are very well equipped and the bed as well as the pool sun loungers are heavenly comfortable. Our fringe was full of welcome delicacies that we really enjoyed! Fantastic location just a few minutes drive from Nafplio. Great host, very comfy room and we were really looked after. Look forward to returning at some point. Setting and location, nice garden, swimming pool, small set up, friendly staff, newly styly decoration. Coffee machine in the room. Situated 48 km from Nafplio and 23 km from Kato Trikala Korinthias, Apartment with Private Pool offers pet-friendly accommodation in Kiáton. This apartment features a year-round outdoor pool and free WiFi. Free private parking is available on site. Average score from 12 guest reviews: 9.4/10. Just a short stroll from the sea, Kiveri Tradiotanal House offers pet-friendly accommodation in Kivérion, 8 km from Nafplio city and 140 km from Athens center. It is also only 25 km away from the Archaeological Site of Mycenae. Average score from 85 guest reviews: 9.1/10. 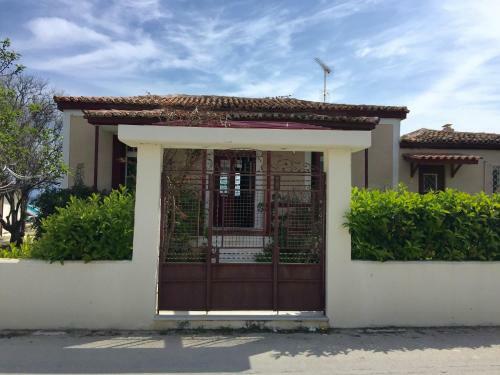 Featuring free WiFi, Villa Ploska is a villa, set in Kórinthos. Providing free private parking, the villa is 9 km from Corinth Canal. The kitchen comes with an oven and a microwave. Towels and bed linen are offered in this villa. Average score from 10 guest reviews: 9.0/10. Offering a sun terrace and views of the sea, Anies Apartments is located in Kivérion. Nafplio is 8 km away. Free WiFi is offered throughout the property. The accommodation is air conditioned and comes with a flat-screen TV with cable channels. Average score from 146 guest reviews: 8.4/10. Villa Merika is a villa with a terrace, situated in Kivérion. You can relax by the outdoor pool in the garden and make use of the barbecue. Free WiFi is offered throughout the property. Average score from 14 guest reviews: 8.4/10. Hotel Phaistos is situated on the outskirts of Tolon. Minutes away from the beach and surrounded by olive trees, Phaistos Hotel also has its own outdoor pool and tennis court. Average score from 65 guest reviews: 8.3/10. Calm, near the beach but not in the central area where is noisy and difficult to park. The room was clean, the bathroom was renovated and the air condition was working perfectly fine. Staff was kind and nice. Πολυ ομορφα και προσεγμενα δωματια, η πισινα εξαιρετικη, πολυ ησυχο ξενοδοχειο κ ας ειχε κοσμο. Διπλα απο την παραλια και πολυ ομορφη τοποθεσια. Το προσωπικο παντα χαμογελαστο και ευγενικο. Πολυ οικονομικο για τις παροχες του! ηταν ολα αψογα πραγματικα...θα το ξαναεπισκεφτω σιγουρα....ολα πεντακαθαρα , προσωπικο αψογο, πισινα υπεροχη κ καθαρη, κ αρκετα οικονομικο δωματιο για τα δεδομενα του...μπραβο! Nous avons été très bien accueilli par tout le personnel de l'hôtel et en particulier par son gérant qui était toujours disponible pour nous. Son hospitalité a été à l'image de l'hospitalité qu'on nous avez promis de la Grèce. Nous avons également apprécié la propreté et le confort de l'hôtel ainsi que la piscine entourée d'oliviers. Ηταν η θεα φανταστικη απο το bungalow. Ηταν το δωματιο καθαρό και με υπεροχη βεραντα. την περιοδο που πηγαμε (13-16/7/2016) δεν ειχε κοσμο και ηταν ησυχο. καθε ημερα υπηρχε επισκεψη καθαριστριασ. ειναι κοντα στην παραλια του τολου (με τα ποδια και αυτοκινητο) και σε αυτεσ του ναυπλιου οπωσ του καραθωνα (με αυτοκινητο). αντιστοιχα το βραδι μπορεισ να πασ ευκολα στο τολο και το ναυπλιο για βολτα. Η τοποθεσία μέσα στο πράσινο, το προσωπικό που ήταν πολύ εξυπηρετικό, ευγενέστατο, φιλικότατο και πάντα στη διάθεσή μας, η καθαριότητα, το πρωινό και η καθαρή πισίνα. Au calme! Un peu excentré. Belle piscine et place de parking disponible. Featuring a terrace with mountain views, Kassandra Villa is a holiday home, set in Asíni. You can relax by the outdoor pool in the garden in fair weather. Free WiFi is featured throughout the property and free private parking is available on site. Average score from 10 guest reviews: 7.9/10. A spacious comfortable house that made us feel at home. We'd definitely think of staying here with even more friends next time! The view, great host, very clean, great spaces, very quiet. τελεια!!!!!! υπέροχο σπίτι με όλες τις ανέσεις οτι πρέπει για χαλάρωση και ηρεμία!!!!! οτι και να πούμε ειναι λίγο περάσαμε καταπληκτικά !!!!!! !η ιδιοκτήτρια ειναι πολυ φιλόξενη και ευγενική !!!!!!!!! Le confort de la maison, la terrasse et la piscine, la tranquillité, son équipement en sanitaires. Et l'incroyable accueil des propriétaires qui ont fait preuve de disponibilité et d'un grande gentillesse à notre égard. Wifi, τζάκι, μεγάλες βεράντες, ote-tv, πισίνα,κήπος! Located in Lechaion in the Peloponnese Region, this detached holiday home features a terrace and a garden. 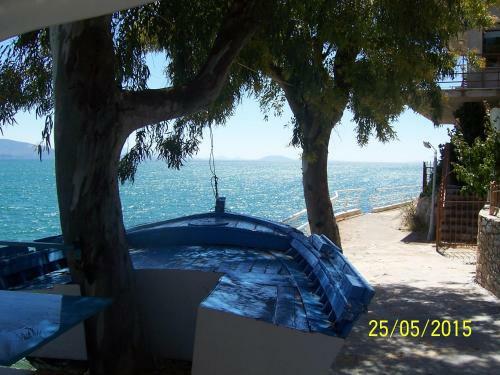 The property is 41 km from Nafplio and free private parking is available. Free WiFi is featured. Average score from 11 guest reviews: 7.8/10. Villa Angelos is a detached villa set in Nerántza in the Peloponnese Region and is 47 km from Nafplio. Guests benefit from balcony. Free WiFi is featured throughout the property and free private parking is available on site. The kitchen has an oven. Average score from 7 guest reviews: 0.0/10. 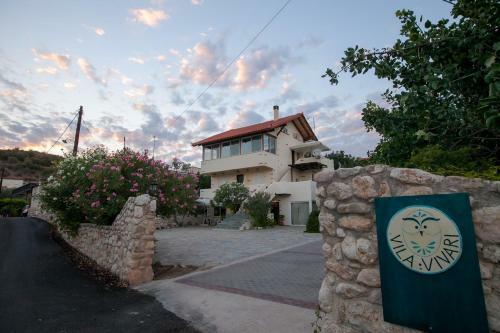 Just a 5 minute walk of the beach, Villa Aphroditi offers accommodation in Kallithéa. 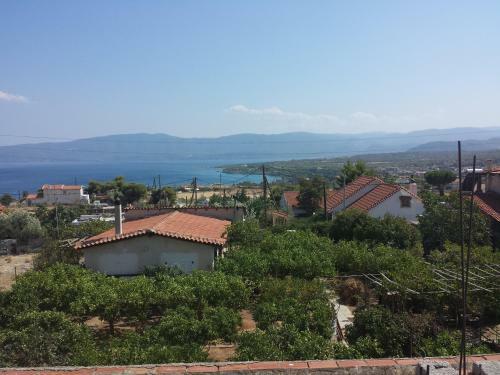 The property features views of the garden is 8 km from Nafplio. The kitchen comes with an oven, a microwave and a toaster, as well as a coffee machine. Average score from 4 guest reviews: 0.0/10. Offering a barbecue and sun terrace, Mare Suites is located in Lechaion, within 30 metres of the sea. Nafplio is 41 km from the property. All units feature a satellite flat-screen TV and CD player. Average score from 11 guest reviews: 0.0/10. Featuring an outdoor pool, Grimme Residence is a detached holiday home situated in Xiropigado. Guests benefit from terrace. Free WiFi is featured . The air-conditioned unit is equipped with a kitchen. Average score from 15 guest reviews: 0.0/10. Apartment Valtos Nerantzas offers accommodation in Nerántza, 48 km from Nafplio. 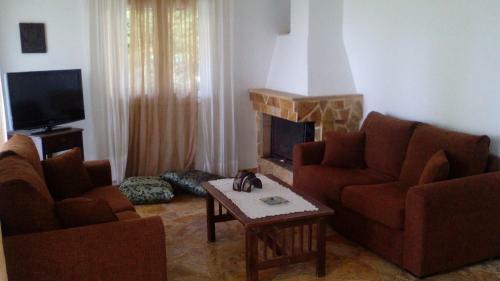 Apartment Valtos Nerantzas boasts views of the garden and is 26 km from Kato Trikala Korinthias. The air-conditioned unit is equipped with a kitchen. A TV is featured. Average score from 10 guest reviews: 0.0/10.